So, when we found out that one of our clients (and friends), Mike Wilson had qualified for the Race Across America (RAAM), we wanted to help out. RAAM is one of the toughest races in the world. 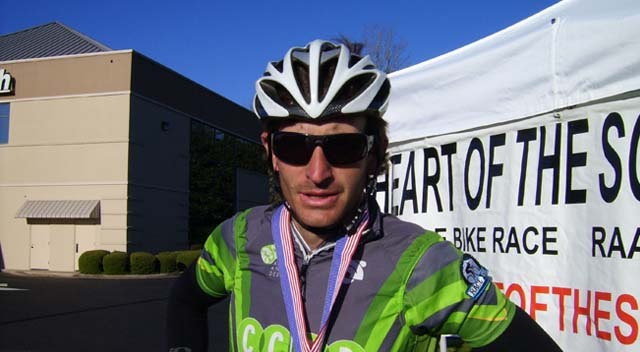 Mike had to qualify to compete by finishing The Heart of the South 500, riding 517 miles non-stop through parts of Alabama and Georgia in 35 hours and 50 minutes. It didn’t hurt that he won that race either. At 3,000 miles, RAAM is 30% longer than the entire Tour de France, but unlike the Tour, RAAM isn’t a stage race. It’s continuous, which means once the race begins, the clock doesn’t stop until racers reach the finish line. And, here’s the real kicker – RAAM athletes have to finish the race in about half the time allotted for the Tour. So, for around nine to ten days in June, Mike will more or less live on his bike as he rides from Oceanside, California to Annapolis, Maryland. Frankly, we’re not surprised Mike’s competing in RAAM. He’s co-owner of Kali Protectives, one of the leading protective gear companies in the U.S. When he’s not cycling, he’s talking about cycling or thinking up ways to improve cycling performance. With Mike gearing up for one of the biggest rides of his life, we wanted to do something to show our support. We offered to help him train but he kindly shut down that idea. The guy’s prepping to ride 350 miles a day, we’re lucky if the office as a whole pedals more than 50 miles a week. So, we decided to help him out with some advertising instead. We started out by designing Mike’s jersey for the ride. The jersey’s a win-win. Mike gets to look cool while he rides and advertise his sponsors to thousands of other racers and fans. We’ll be helping Mike out more between now and the start of the race. And, come June, we’ll be down in Oceanside to see him off. We wish all the best to Mike and can’t wait to see how he does in the big race. Check out Mike’s blog for updates on his RAAM training or follow him on twitter and facebook.